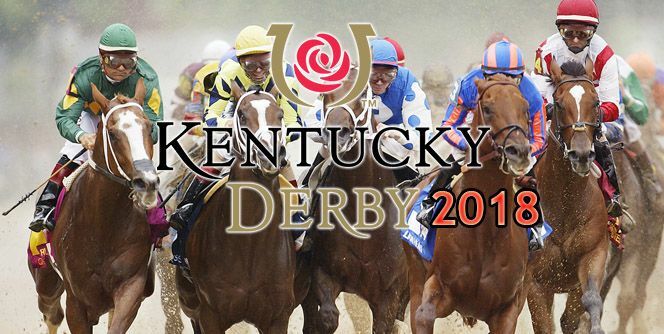 Kentucky Derby is more than a horse racing event. Gearing up for a visit to Churchill Downs for the Kentucky Derby can be an amazing life-long experience. This is the best legendary racetrack in the globe. The horse-racing track will be performed at Churchill Downs. 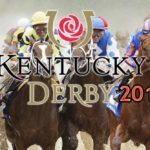 The legendary 144th Kentucky Derby event will take place starting from 28th April 2018 to 5th May 2018. The event runs for a whole week. The event is spiced up with many fancy events like Kentucky Oaks and Kentucky official events. Food and drinks are readily available for the event. To keep the fans entertained, the event is divided into several day-long events. Kentucky Derby prep. This event runs from 10:00a.m. to 6:45 p.m. The event is however covered live by NBCS from 12:00 p.m. to 4:000p.m. This involves placing bets as wagering windows open thirty minutes before the race begins. Sip a Mint Julep as you watch the arrival of Garland of Roses. Mint Juleps will be available as soon as the gates open at 7:30 pm. Events that will be within live coverage will include witnessing the military armed forces enlistment ceremony. Singing the National Anthem led by Grammy Award winners, watching the 50/50 Raffle Drawing on the horseshoe, and toasting G.H Mumm Champagne in the winner’s circle. The end of the day will be marked by draping the winning horse with a Garland of roses. Make sure you will be there to witness the presentation of Kentucky Derby Trophy to the winning horse riders. The event also involves singing the “My Old Kentucky Home” with hundreds of thousand fans. The Kentucky post-race events. Much of this will be covered later on NBCS at 7:00-7: 30 p.m. It involves recapturing already performed events just to keep you informed. Involves post-race celebrations and important highlights like who missed the ride up call and how different riders reacted to the ‘riders up’ call. Also, the episode covers the most fascinating two minutes race in the legendary sport. The Opening Night. This event will run from 5:30p.m to 12:00a.m. The night edition will be presented by Budweiser. Get entertained by a variety of musicians with live performances and art installations. When is the last time you dressed to impress? Opening night is a dress to impress calling. Ladies will be required to dress in cocktail dresses and party dresses. On the other hand, men will are encouraged to wear a dress shirt, sharp pants, and a signature accessory, a headpiece. It could be a headband, a hat, a fascinator, or anything optional. Taste of Derby, Thursday, 23rd May. Start your sporting weekend in style by attending the sixth annual Taste of Derby. The events will be presented by Angry Orchard. Horse racing celebrities will be mingling around. Grab the chance to interact with them as you savor exceptional wine and exquisite cuisine. Live entertainment from Downtown Band will accompany your wine pairings prepared by regional chefs. The event will run from 7: 00 p.m. till midnight. Do you fear that you might not make it to Kentucky Derby? Well, you all got covered. The event is too big to be assumed by the media. Here are some of the big broadcasting channels that will air the event live. National Broadcasting Channel (NBC) and NBC Sports (NBCS). These channels will cover different events as listed below. Betamerica will not be able to air the event this year due to contract issues. Kentucky Oaks. This event will be covered live on NBCS network Saturday, May 5th starting from 12:30 pm to 6:00 pm. 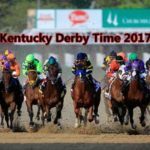 This is the most amazing two-minute race in Kentucky Derby. The race has 20 horses all charged up for the front line. The American Pharaoh has been a good bet for the bet maniacs. However, there is always a big chance of upsets, so you better watch the race. The huge race is greatly anticipated to start at 6:20 p.m. You will, therefore, switch from NBCS to NBC for the long waited race. Are you planning to hit the jackpot in Kentucky Derby? Well, this is the race to bet on. This event is held on the day before Kentucky Derby. Entry tickets are readily available online for sale. The tickets are valid for different events and days. They include Kentucky Derby Day ticket, Kentucky Oaks Day ticket, Derby Week ticket, and a Two-Day pass ticket.